Poster rails are ideal for marketing purposes in store – you can put posters in these displays in order to inform your customers about current and future promotions. 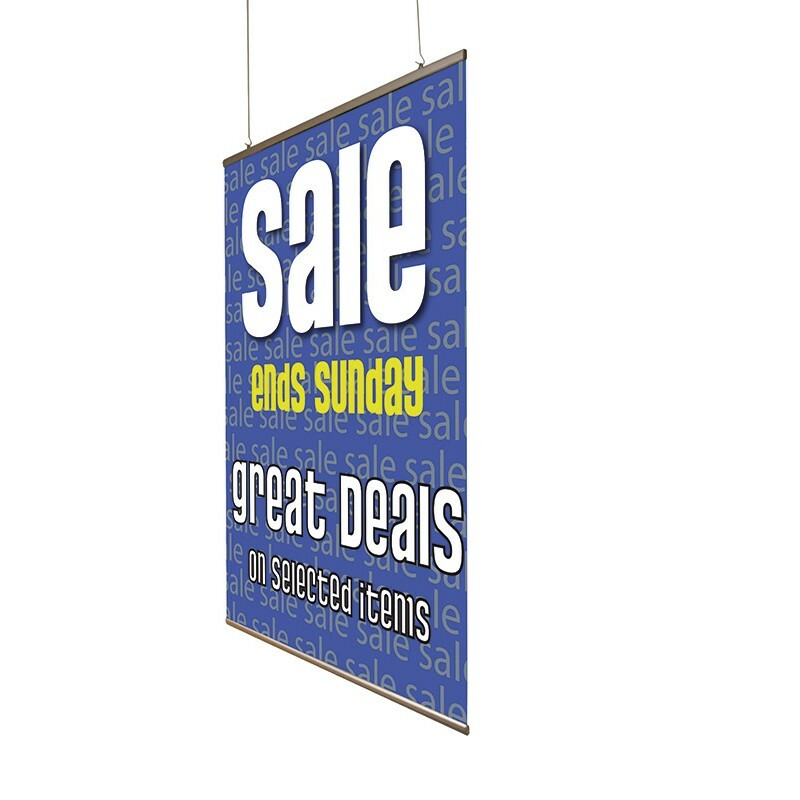 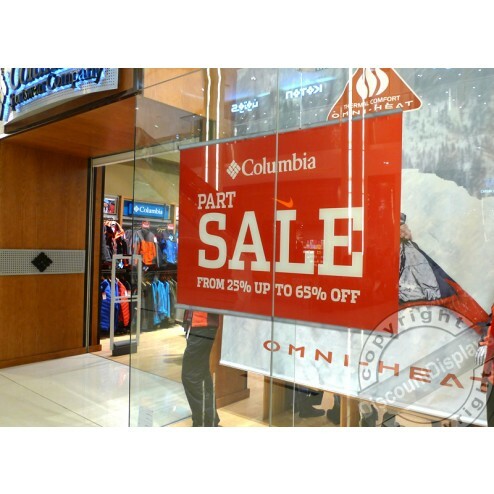 If you want to increase the average spend in your store promotion is essential – these poster rails are a cost effective way to ensure that promotional materials are on view in your store. 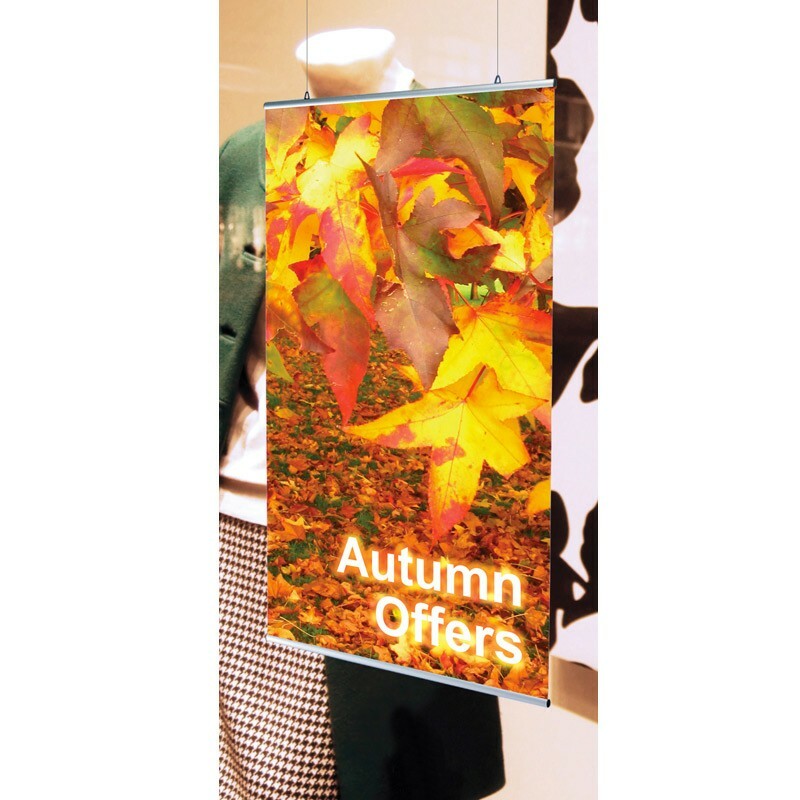 You can also catch extra foot fall with these store window displays as they’re likely to entice the general public into your shop as they catch a glimpse when they walk past. 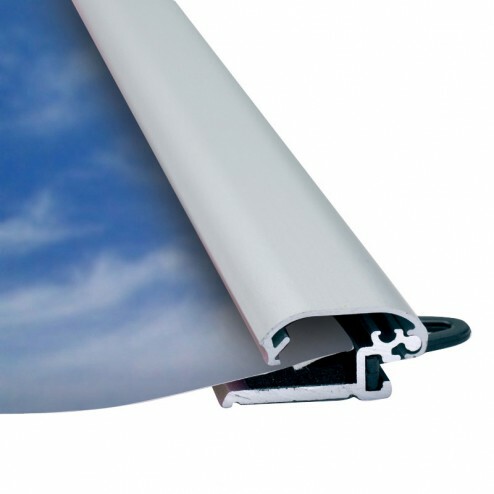 These rails have a 25mm x 13.5mm profile and they are suitable for substrates up to 300 microns thick. 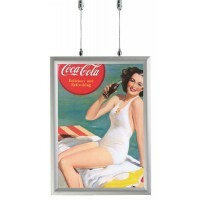 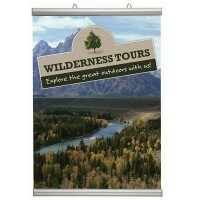 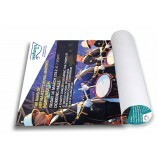 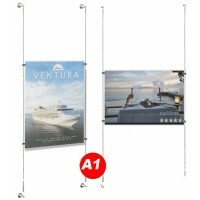 These poster rails are available with grey end caps and hooks. 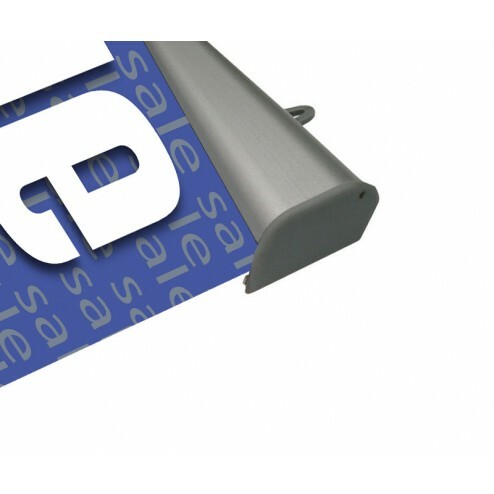 Please note that around 17mm of the graphic is hidden inside the bottom and the top of the rail.